Welcome to the home page of The Tin Box Company - the UK's leading supplier of high quality metal packaging and decorative tins. We supply an extensive range of both innovative and traditional tins which are used for a wide variety of different retail applications	including biscuit tins, tea & coffee tins, confectionery tins, video, dvd & multimedia tins, toiletries and gift tins. All our customers enjoy a fast, responsive service, with bespoke products developed to meet individual requirements and project plans. Our flexibility allows us to offer lower minimum quantities starting at just 10,000 tins. All our tins are produced to customer design and specification by our partner company Klann Packaging GmbH of Germany, who have an unrivalled reputation for the high quality of their work and innovative ideas. We also offer a selection of quality stock tins which can be ordered in lower quantities enabling you to use them for many different applications. 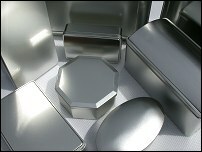 Visit our stock tins portfolio (on the Klann Packaging website). 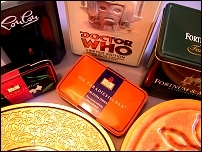 We have a great selection of stock tins which can be used for a variety of purposes. Visit our stock tins portfolio now! We specialize in supplying presentation tin boxes for retail, including biscuit tins, confectionery tins, video, dvd & multimedia tins, tea & coffee tins, toiletries and gift tins. The Tin Box Company endeavour to provide a solution to all clients. Our creative approach ensures that the tins we produce are eye-catching and unique. Copyright © The Tin Box Company. All other trademarks acknowledged.